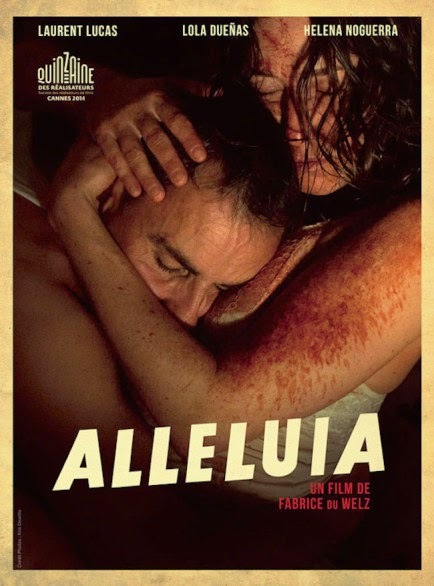 The Toronto International Film Festival Vanguard Blog: ALLELUIA First Look: Poster and Trailer! Uh, got a little something on the wall there behind you. Great looking couple. We should invite them over for a potluck sometime. 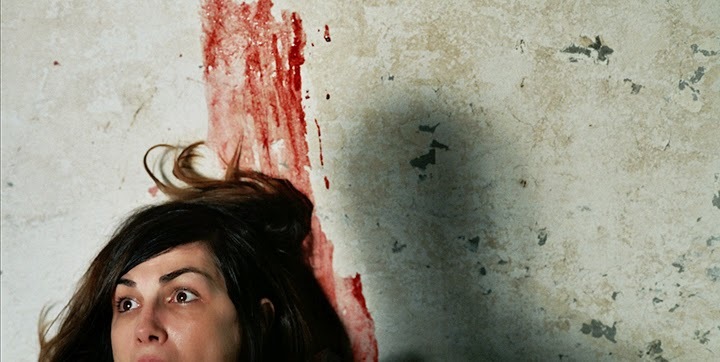 Director Fabrice Du Welz puts a murderous, carnage-filled twist on this classic story, which premiered at Cannes earlier this year to fantastic reviews. Variety makes reference to it being a "shield-your-eyes" kind of movie, so you might want to keep that in mind. Perfect film to bring your mum to, if you ask us. We get a sense that Alleluia is going to have people talking a lot during this year's Festival. Check out the poster and trailer below and you'll find it hard to disagree. Alleluia is screening at the 2014 Toronto International Film Festival as part of the Vanguard Programme. Check out more Vanguard films on the official Festival website.